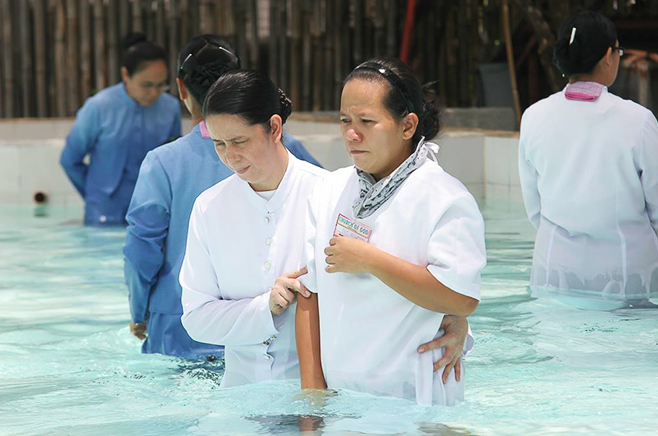 Read short testimonials of faith from some of MCGI’s youngest brethren baptized on May 9, 2014 at the ADD Convention Center in Apalit, Pampanga. I feel cleansed from all [the sins] I did. I first saw [Bro. Eli Soriano] on television. I didn’t know where the locale was located in Olongapo [until] I met someone: Aunt Deng. She was the one who went with me to the Locale of Olongapo. We’re relatives. She’s already a member. She’s my sister in law so we’re all connected. Actually, I learned about Bro. Eli through my father, because he was able to attend the indoctrination sessions. But he was imprisoned in Muntinlupa at that time. He was also able to attend Church gatherings there. 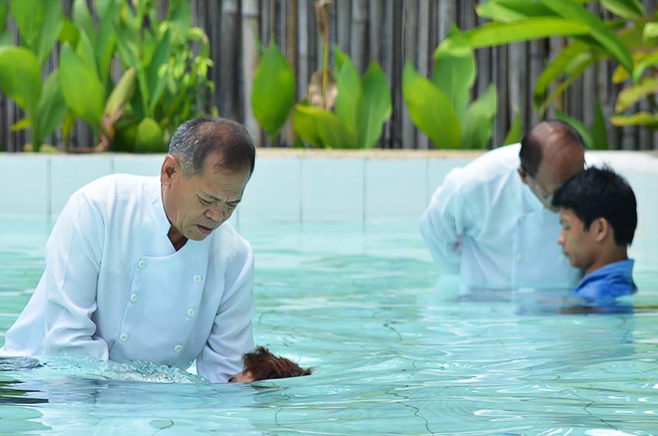 Then, when the indoctrination was almost finished and he was about to be baptized, he was set free. 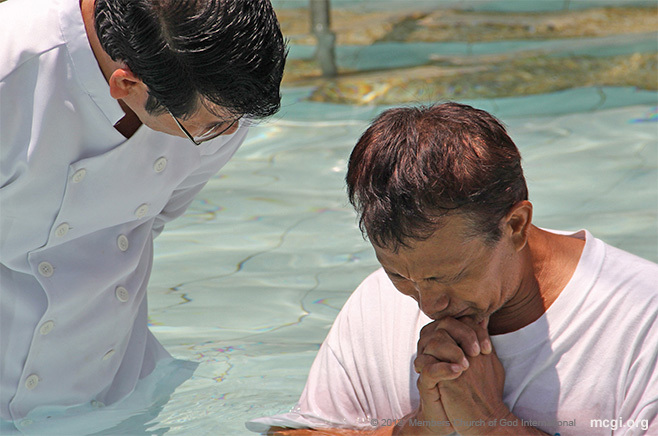 He was suddenly given parole, so he wasn’t able to proceed with his baptism. But after this, they will follow: he and my mother. They’re already next in line. We said that after us, it’s their turn. 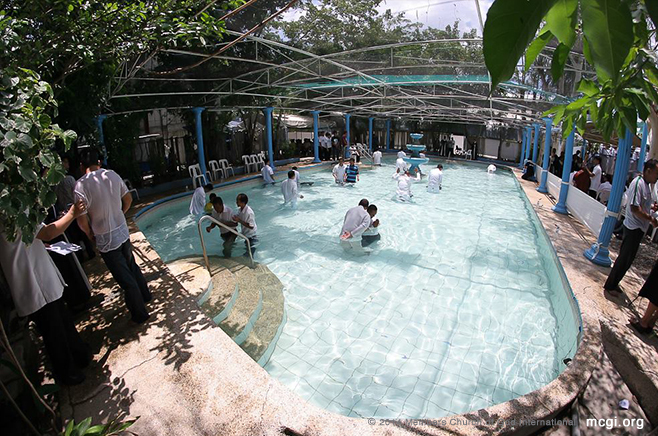 They will attend the indoctrination and be baptized [God willing]. To Bro. Eli, Thank you because you’re always there to let us know the truth about the Bible that we didn’t learn from other religions. Thank you very much. I hope that you will continue, and that you may have more strength to continue and share the words of God. Of course, happy. I feel light as well. I’ve been listening [to Bro. Eliseo Soriano] since long ago, since the year 2000. I only had a chance to become a member now. To be honest, other Bible Studies were boring to me, [unlike] his teachings. He was different. That’s what sparked my interest. I am thankful to him and may he keep up with the good work of spreading the word of God. I feel really, really happy. I’m overflowing with joy, and like I have been truly cleansed [from my sins] and filled with the Holy Spirit. My husband was first to become a member, then he also guided me here to the true religion through listening to [Bro. Eli Soriano] on television. [It was] since 1989. My eldest child was still a baby back then. It was in him that I saw the true meaning of having a relationship with God; I found it here. I saw the change, the true change in my husband. That’s why I know this religion will save me. At last, I will be together with the Lord God, if the Lord allows. Thank you very much for your continuous efforts in guiding souls. Thank you for all your sacrifices. I will pray to Lord so that he will give you good health and overcome all the hardships with the help of God. As of now it’s like I feel very light, like I’m renewed. Unlike before, I felt very heavy, burdened, like I have fears. But now I feel like someone is guiding me. My father, he was the one who first became a member. Even when I was just 12 years old, I would go to the locale with my father to listen. I was able to attend the indoctrination before but I couldn’t continue because of my age, and because I was still studying. I study at a Catholic school, and because of that I was having difficulties. But I also said to myself once, I promised the Lord that I would finish the indoctrination, and here I am today. And there it was. I was enlightened and went under indoctrination and finally became a member of the Church. Bro. Eli, Bro. Daniel, thank you very much because you’ve sacrificed your time and happiness for the sake of our souls, for us to have salvation. Thank you very much. May the Lord [continue to] guide you and give you strength and longer lives. There are more souls to save. I’m happy because I was able to enter the Church of God, the true Church of God. Then, my heart is delighted because it is full of God’s teachings; I now know what is right and it feels really good, light. My friend brought me to a Bible Exposition. Then, I attended the Prayer Meeting until my friend invited me to go the indoctrination sessions. Of course before I first attended, I had a different perspective. I had these questions: Why is it like that? Why is it different? Eventually, I learned and understood it. What he [Bro. Eliseo Soriano] is saying is true. He has a basis, and it’s Bible itself. Thank you for teaching us the words of God, for making us understand what is just and right, and what is it that we truly should do. Also, [may you] continue spreading the Gospel.